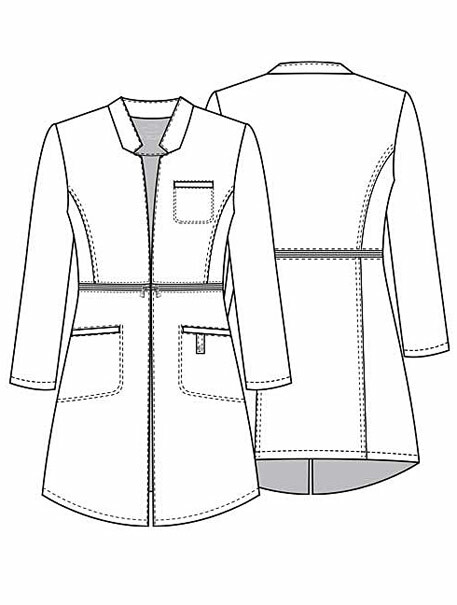 A sleek, contemporary lab coat features a stand-up collar and zip-away detail at the waist which allows you to wear this as a cropped style when not at work. 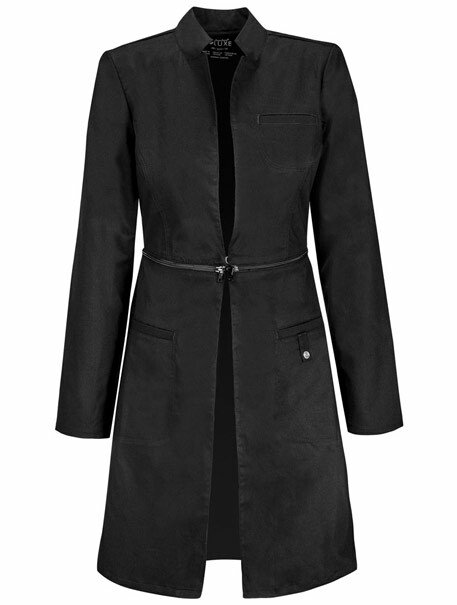 Also featured is a hook and eye front closure, chest welt pocket, roomy front welt pockets with I.D. badge loop, front and back princess seams, shoulder pads and hi-low hem. Center back length: 32"